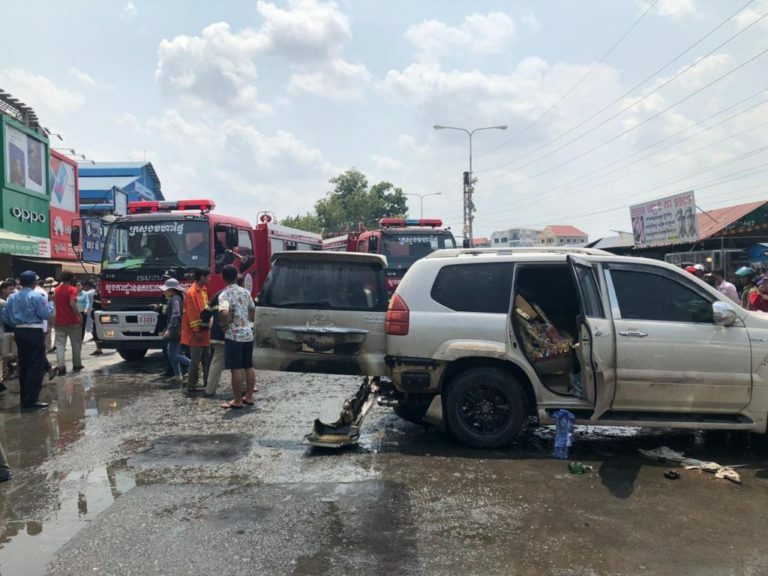 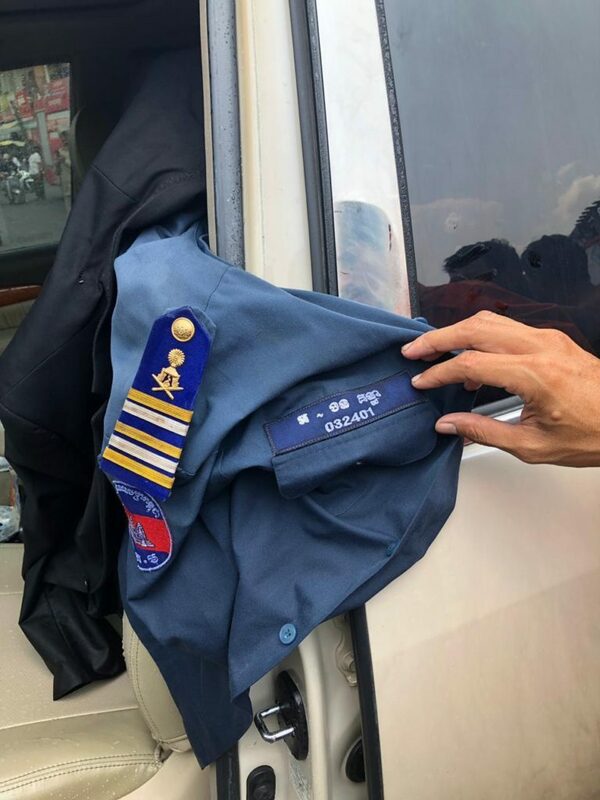 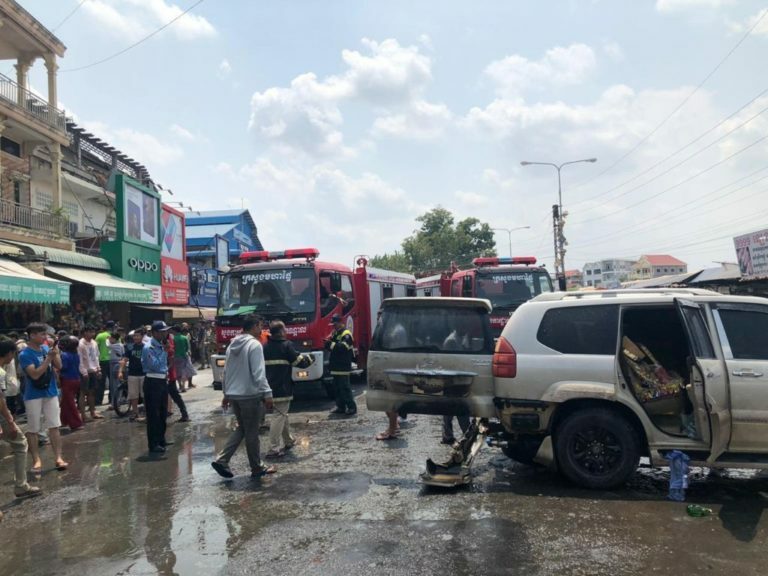 Kandal, Cambodia News: A military officer from the Royal Gendarmerie, Ngon Konthea, was seriously injured in a gas explosion from a Lexus car, on April 12, 2019, at noon, in Takmao city. 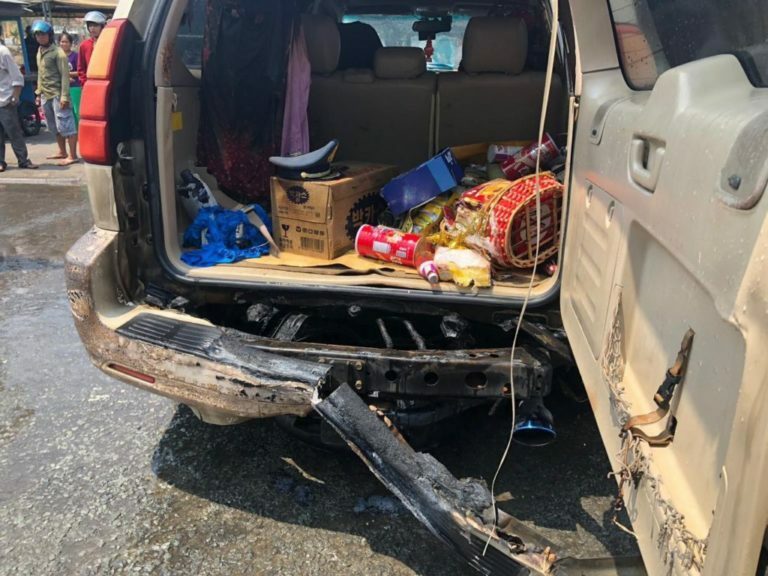 Before the incident, the officer was driving his Lexus, when suddenly there was a puff of smoke and then an explosion from the car. 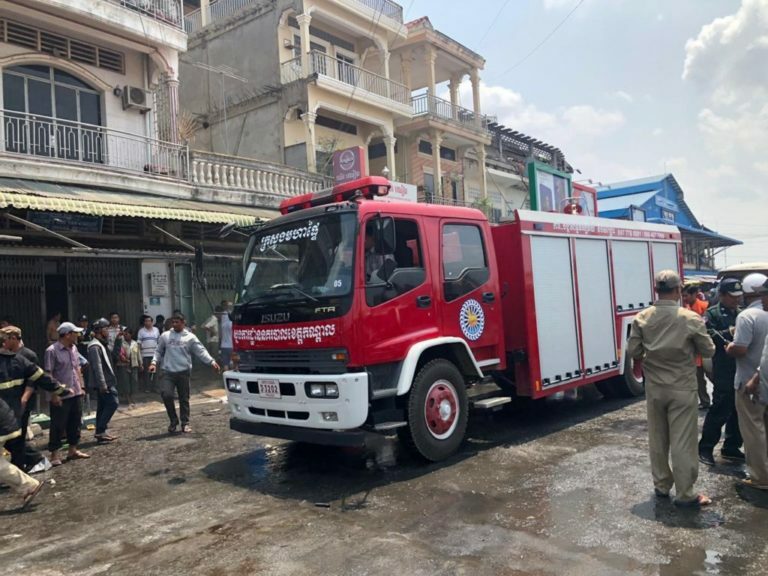 The police took three firetrucks from Kandal police station to put out the fire at the scene, and the severely injured officer was sent to the hospital immediately. 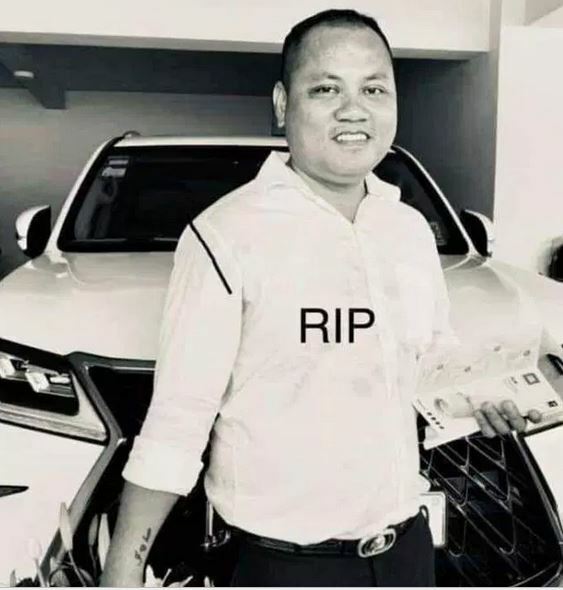 Ngon Konthea passed away in hospital from his injuries.